Make 2019 the year you finally overhaul your home and give it the gorgeous new look it deserves. When it comes to home remodeling and additions, there have been plenty of changes over the years, and new trends continue to evolve. 2019 is indeed an exciting time to introduce new design ideas to your home and give it a makeover and/or new addition. These colors can be beautiful additions to your home this year. Moreover, they provide your home with a vintage look and feel. 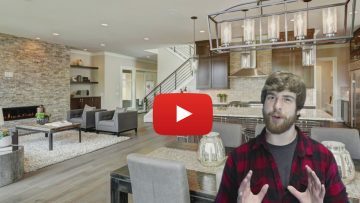 Pendant or suspended lighting is a unique home lighting and décor style that’s trending big time in 2019. These beautiful lights are replacing the traditional recessed lights, and their chic appearance is being embraced by homeowners. You can add pendant lights to areas in your home such as your kitchen, dining area, foyer, and entrance. These are some areas where the pendant lights can become the center of attraction. So, in short, pendant lights serve two purposes: they add style and functionality to your home. Your kitchen is one space in your home where you can experiment with a plethora of design ideas and looks. Get rid of the old cabinets and add stylish new ones. Give the kitchen countertop a shiny look. If you’re bored of stainless steel, go for matte finishes. You can hire a kitchen remodeling expert to overhaul your kitchen and refresh the mundane appearance. If you’ve been planning to add white flooring to your home, 2019 is the perfect year. While it’s true that white flooring gets dirty easily, it provides your home a more spacious look, especially in your kitchen area. You can choose between white wood or white tiles. During the daytime, who doesn’t love natural light? If you don’t have big windows in and around your home, make sure you add plenty of them in 2019. Having more windows balances the energy efficiency in your house and keeps the temperature inside your home more comfortable. And, the best thing is that you end up saving a lot more on your energy bills. Install larger windows with white frames and give your home a brand-new look. A happy home is a home with lots of natural light pouring in through the windows. This is one of the most exciting home remodeling trends of 2019. You can add more flair to your home by increasing the height of the ceilings by adding woodwork or exposed beams. Sometimes, adding simple crown molding to the ceilings can seal the deal. The new year is the best time to reconstruct or remodel your basement. 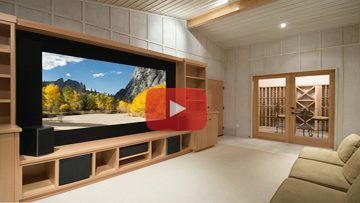 If your basement is unused, why not turn it into a home theatre, personal gym, or kid’s gaming room? Before you remodel your basement, check if the plumbing, electrical, and HVAC systems are working properly. If the basement requires reconstruction, go for it. Your remodeled basement will be a trend that lasts well beyond 2019!